Words have power. And there’s something about the word “resolutions” that feels like a to-do list. Maybe it’s because so many people fail at their New Year’s resolutions, or maybe we put too much pressure on ourselves to meet our annual goals. 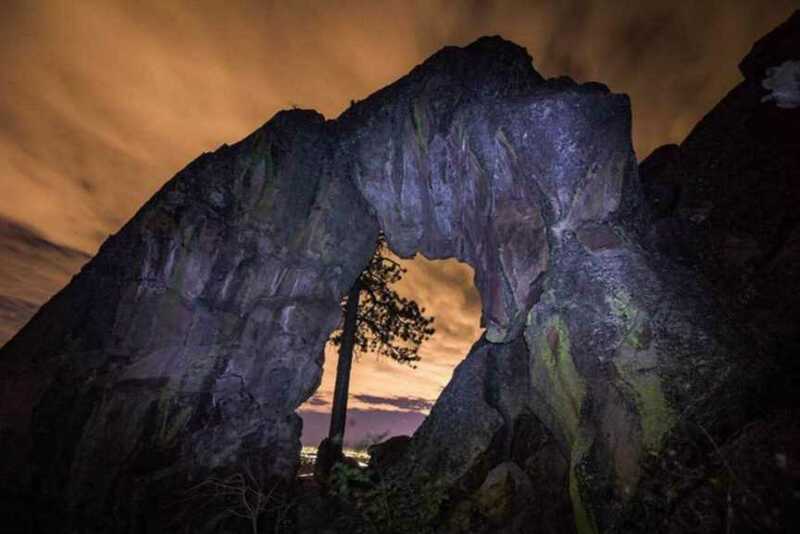 This year instead, we’re skipping resolutions and checking things off the Boulder bucket list. Some of these are classic Boulder activities. Others will surprise you. We even asked community members to share some of their own personal bucket-list items. This list is a fusion of all three POVs. We hope you join us. Even if you don’t want to skip your resolutions, add these to your plan and spice up 2019 with a lot more adventure. 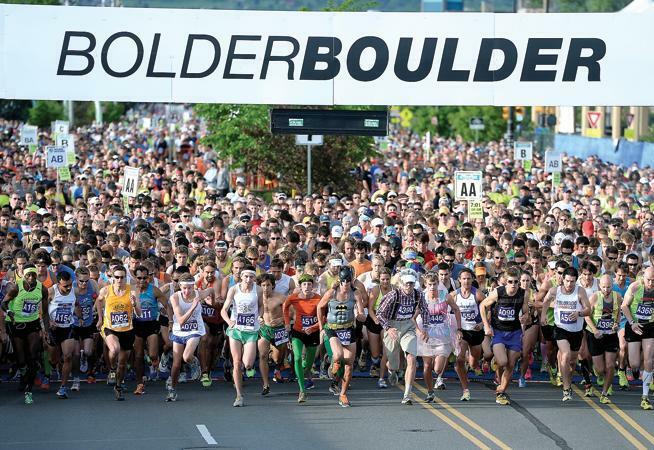 Run, walk or dance the BolderBoulder. Preferably in costume. That’s how Preston Mercer, who grew up in Boulder, says to do it for real bucket-list cred. Every year, downtown Boulder transforms into a mega 10K road race that feels more like a party. Yes, the BB is so well-known that it’s an obvious bucket list item. But that doesn’t make it any less crucial. If you haven’t knocked this out yet, make 2019 your year. Also on Mercer’s Boulder list: Fly fish Boulder Creek. Visit Boulder Falls. Bike Boulder Creek path. 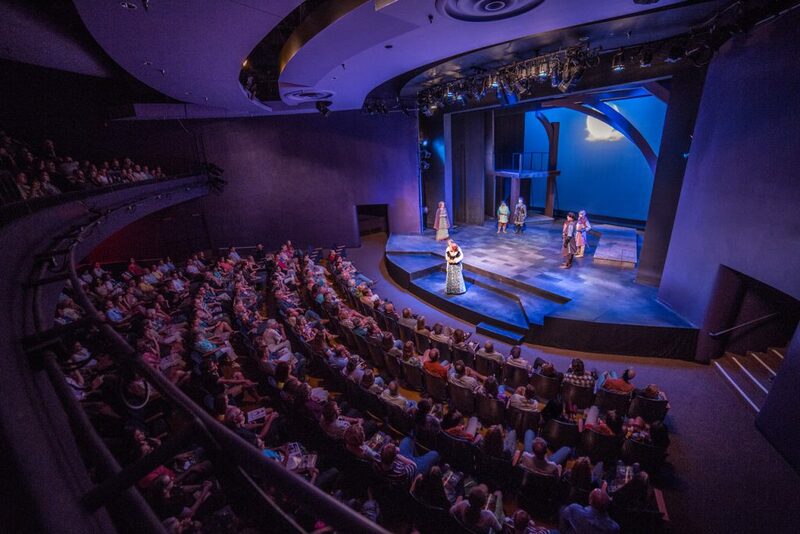 Attend a show at the Boulder Dinner Theatre. Hike or climb the Flatirons. 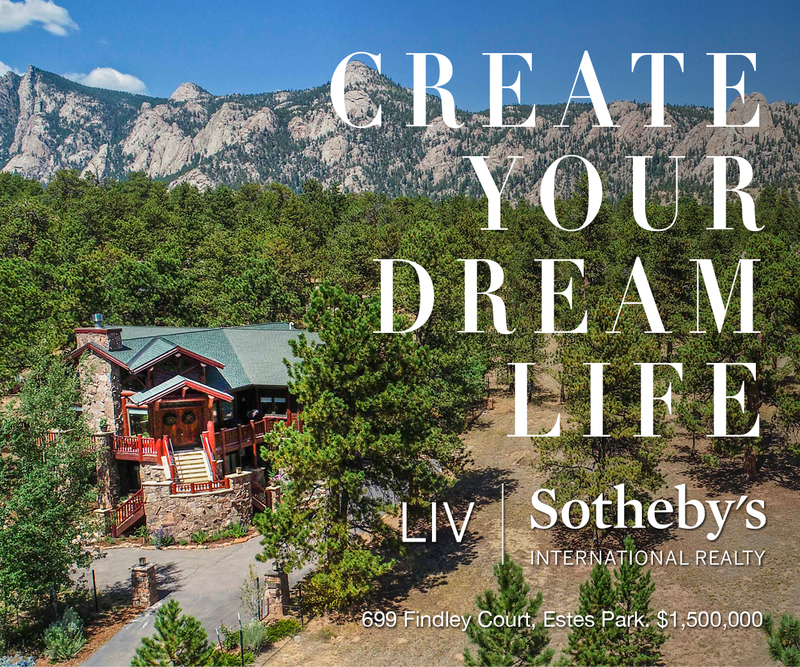 Boulder’s Flatirons are beckoning you. If you’re an experienced climber or going with a professional crew, scale these flat-faced friends. If you’re not interested in belays and adrenaline, head to Chautauqua and hit the trails that wind around this area. Pick a trail that fits your level of ability. Conquering the Flatirons is a Boulder must. Perform something on Pearl Street. This idea comes from Todd Franklin, and we couldn’t love it more. The Pearl Street Mall is known for its buskers and street performers. Why not join in? Bring your talent to the mall or dance along for a song. Just make sure you tip the regular performers well; they work hard out there and appreciate the support. Take a photo from atop Flagstaff Mountain. Have you really visited Boulder if you don’t have that quintessential Instagram shot from on top of the world (or so it seems)? Panorama Point is a popular spot to find views for days. While you’re up Flagstaff, knock off another Boulder to-do and dine at the elegant Flagstaff House. You’ll want to save this for a special occasion; this is fine dining with even finer views. Drink a marg on the Rio rooftop. The Rio Grande Mexican restaurant in downtown is a Boulder staple, and its margaritas are famous (and famously strong). 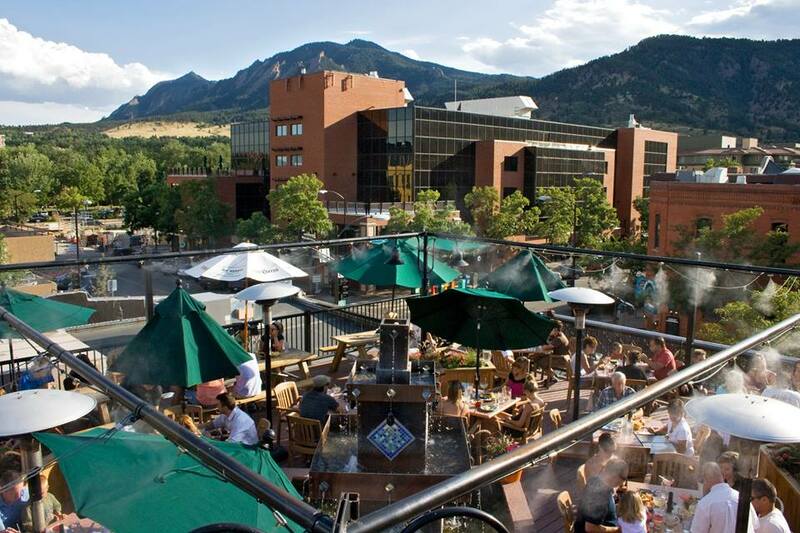 Enjoy one on the rooftop with direct views of the Flatirons. Maybe two. But there’s a strict three-marg limit. You’ll see why. Luckily, the fajitas here are delish and can help keep the tequila edge away. 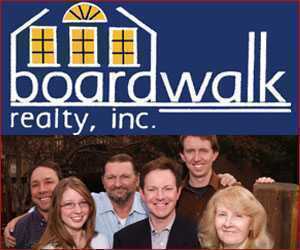 See a show at the Boulder Theater. 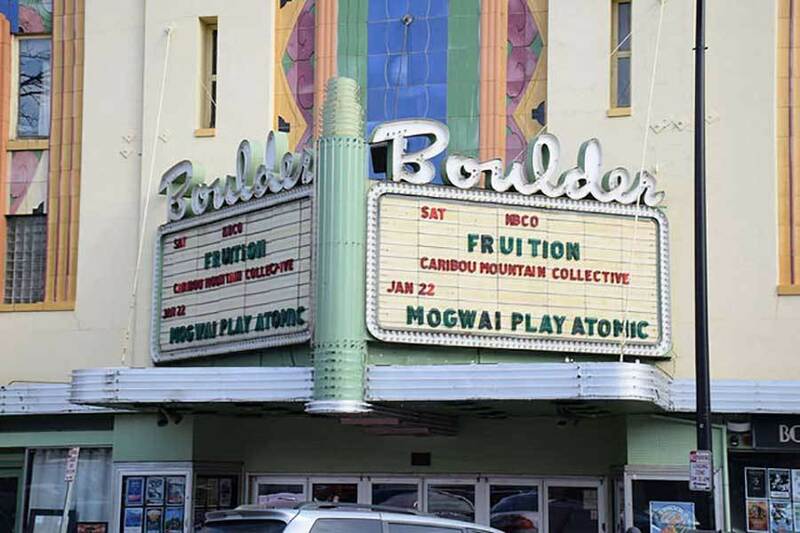 This historic, art-deco theater in downtown is total Boulder, and it always is hosting incredible performers (in the past, the likes of Sheryl Crow and The Samples). Pick your favorite event (or something totally novel) and make a night out of it. 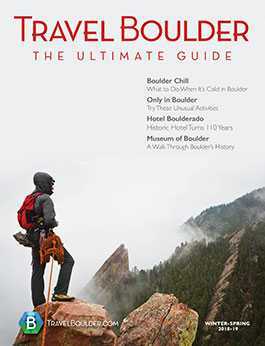 The Boulder Theater has been around since 1906. Do the Boulder Beer Trail. 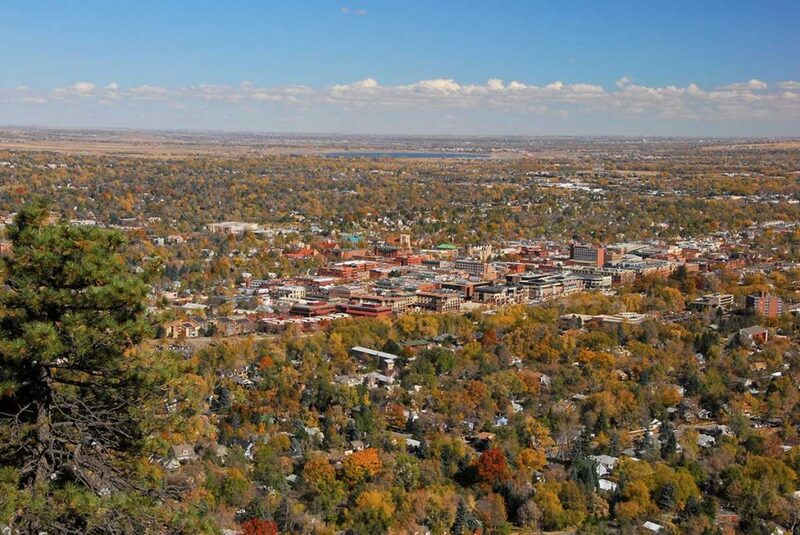 Boulder is known for its hiking trails. And it’s known for its local breweries. It’s only logical to bring the two together. 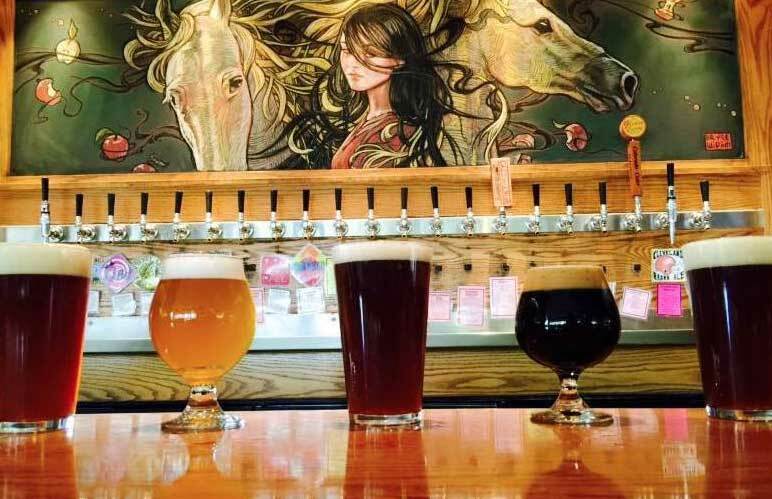 The Boulder Beer Trail takes you from the east side of downtown to the west end. Not a ton of altitude gain and sweat, but there is a map and it contains the word “trail” so it totally counts as an outdoor adventure. You can master this trail in a single day, but if you do, make sure you fill up on the many food options along the way and drink responsibly. The altitude affects the way your body processes alcohol if you are visiting. Do a unique yoga class. There’s yoga. And then there’s Boulder’s infinite incarnations of yoga. 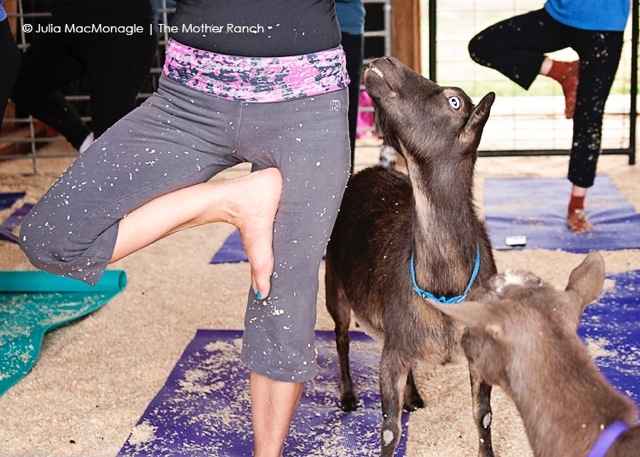 Let Boulder’s weird light shine and join for one of the many unusual spins on a yoga class, including but definitely not even vaguely limited to the likes of goat yoga (that’s yoga with goats; the goats don’t do the yoga), yoga on a stand-up paddleboard on the Boulder Res, aerial yoga, partner acroyoga, yoga at a brewery, yoga in the park and more. 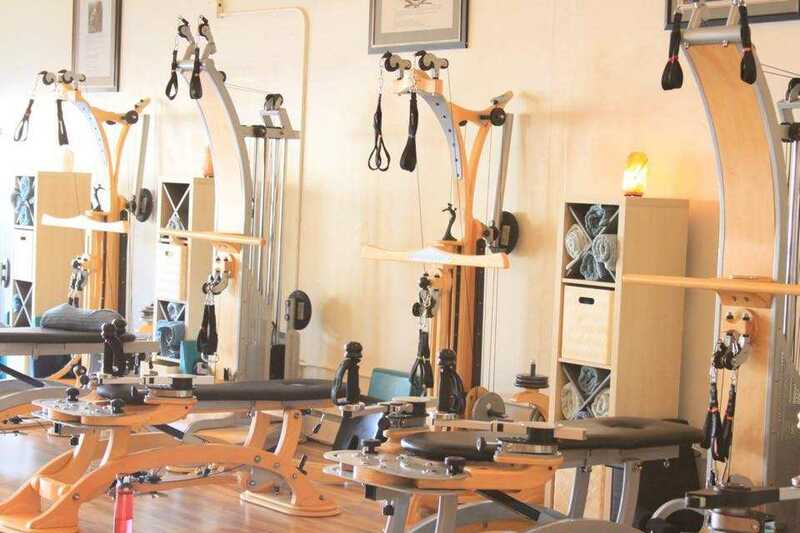 Check out our full list of unusual yoga classes in Boulder and try one. Or all. Go out with your dog. 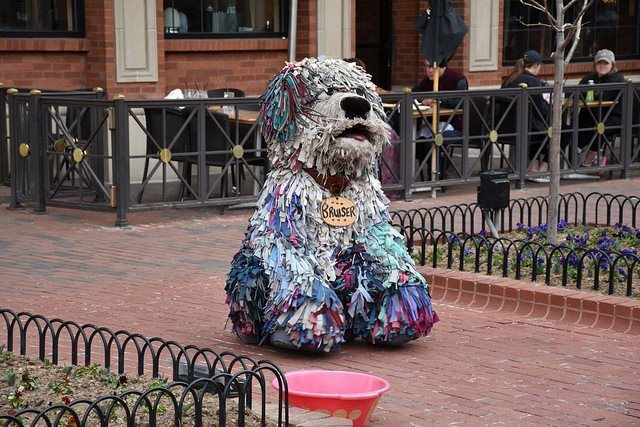 Boulder loves dogs so much that you can plan an entire day on the town with yours. Go swimming, stay in a dog-friendly hotel with puppy room service and then hit up the dog bar. Romero’s K9 Club and Tap House in old town Lafayette invites owners with their dogs (on leash) to chill in the enclosed outdoor pavilion. There’s also an outdoor biergarten, where you can let your well-behaved, registered pup roam free off leash. 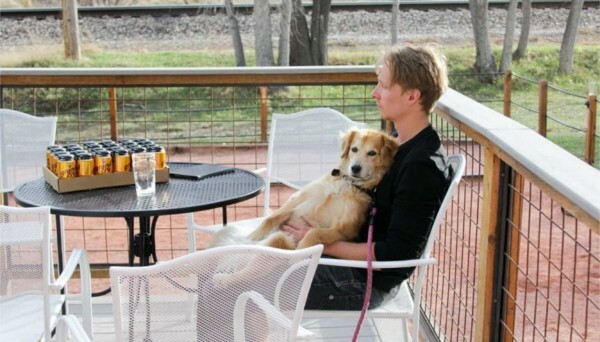 Beyond that, there are many other dog-friendly restaurants and breweries to pick between. Experience legal weed. Boulder has a longstanding love of MJ. Now that it’s legal recreationally, it’s time to embrace the reputation. Even if you don’t want to imbibe, it’s interesting to visit a dispensary. 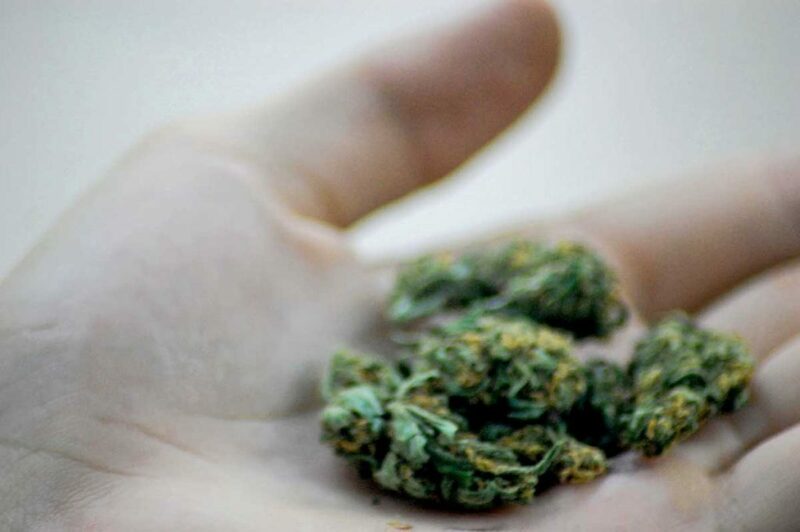 (Here’s what to expect before your first trip to a dispensary.) If you’re in town on April 20, check out local 420 events. Oh, and not to be Debbie Downer, but know the laws before you go blazing up on the street or something silly. It’s legal, but within certain parameters. 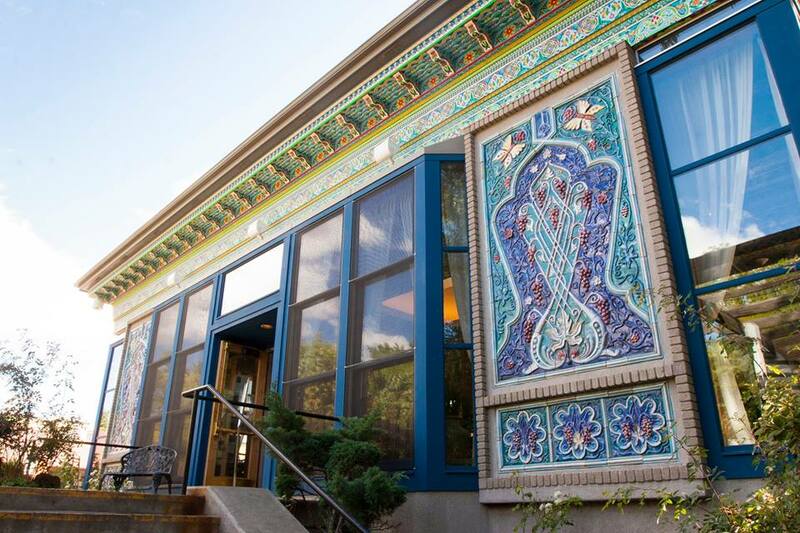 Sip tea at the Dushanbe Tea House. 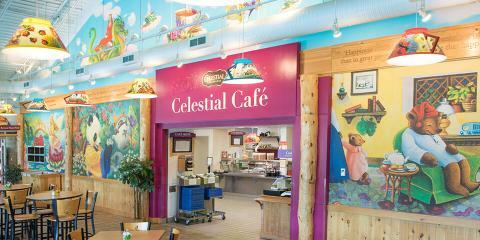 This colorful building is a work of art, and its tea selection is, too. If you can make it to a special tea service or Sunday brunch, even better. In the summertime, request a table outside on the patio surrounded by flowers that are almost as vibrant as the tiles that adorn the structure. Tube down Boulder Creek. The best way to tour Boulder is floating on a tube down the creek in the summer. Rent a tube, launch off at the Eben G. Fine Park and hold on tight. Depending on the time of year, this ride can get bumpy. But it’s always a blast. Men’s Journal named Boulder Creek one of the top-10 lazy rivers for tubing in the nation (even though it’s not exactly lazy). Get your tube through Whitewater Tubing and Recreation. Write your name on the ceiling at The Sink. 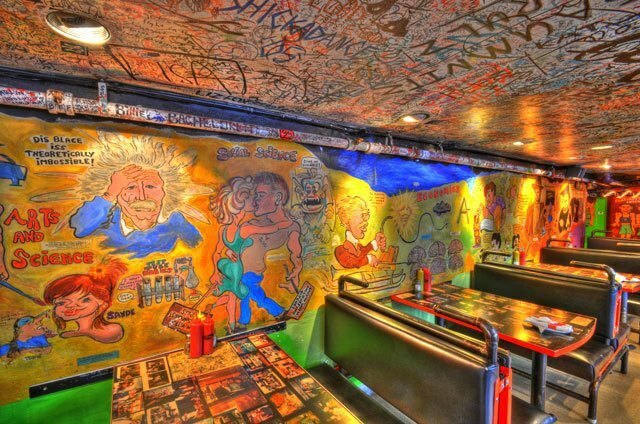 We’re not advocating vandalism; this historic burger (and more) joint is known for its graffiti- and art-smothered walls and ceilings. You gotta get a Sinkburger and take in the funny art on the walls to truly understand Boulder (not that anyone truly knows this town). Before you leave, leave your mark on the ceiling to prove you were here. But don’t draw on the artwork on the walls. Night hike to the star when it’s all lit up. 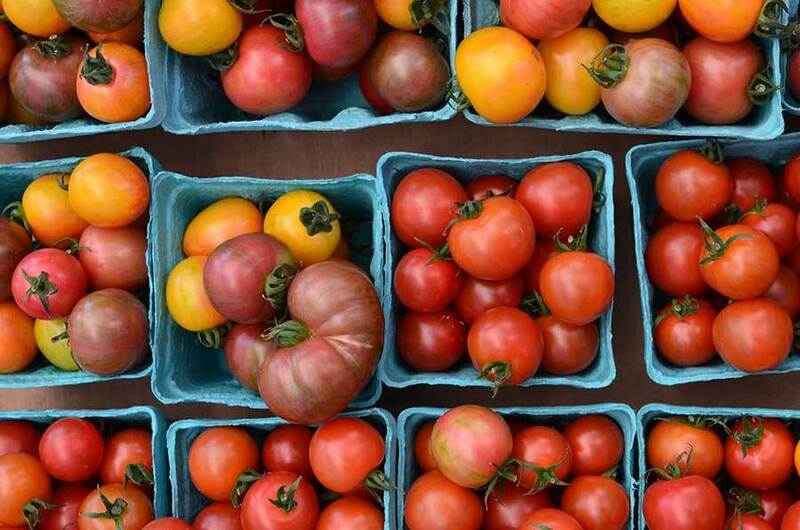 This idea comes from CU graduate Meri Burgess. Every winter, Boulder lights up a large star on the side of the foothills. It’s known as the Flagstaff Star. 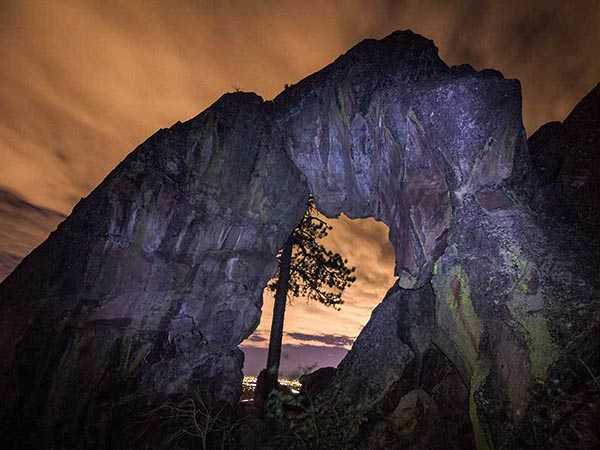 Hike to the star at night and accomplish several bucket-list items at once: going on a nighttime hike, hiking in winter, seeing Boulder from above and getting close to this magical attraction. Hike to the Royal Arch. 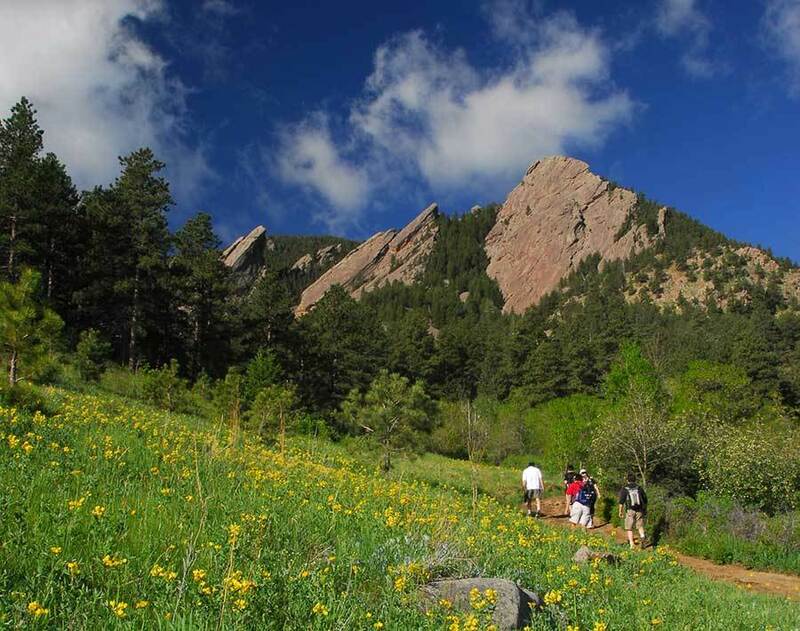 Start at Chautauqua Park and hike this intermediate-to-strenuous trail to one of the most iconic natural attractions around Boulder. The Royal Arch is not as impressive as the massive rock arches in Utah, but it’s still gorgeous and a classic photo backdrop. The whole hike is about 3.5 miles round-trip with about 1,400 feet in elevation gain. The trail isn’t for everyone, but it’s doable if you’re in good shape and acclimated to the altitude.